Marvin LeRoy Dolloff, 86 died Friday, January 11, 2019 at Mercy Medical Center in CCU surrounded by his loved ones. A Celebration of Life for Marvin will be held at Elk Creek Lutheran Church, 4108 killdeer Ave. Kensett, Iowa on Saturday, January 19, 2019 at 1:30pm with Reverend Tom Martin officiating. Visitation will be held on hour prior to the service. The family invites all to stay for a light lunch following the service. Interment will be in Elk Creek Cemetery, Kensett, IA. Marvin was a great storyteller and his story began in a farm house in Smith County Kansas where he was born on June 12, 1932 to John and Angelia (Rhodes) Dolloff. From early on Marvin was on the move. As a child he lived in Kansas, Nebraska, Wyoming and Oregon. Throughout his childhood, Marvin’s grandparents played an important role; especially influencing him was his full blooded Irish grandmother. She passed on to him her sense of humor, love of family, and a love for the Irish culture; music, food, stories and gave him some of his best sayings. He grew up getting the cows in, milking, grinding the feed and always everywhere he lived making friends with a story and a smile. He enlisted in the Air Force in 1950 proudly serving his country here and in Japan. Marvin never forgot the Japanese he learned or his dog tag number. In 1954 he married the love of his life, Marilyn (King) and they have been married for sixty-four years. To that union were born four children; Michael, Gary, Teresa and Patty. The family moved to Iowa from Nebraska in 1967 and has called it home ever since. Marvin spent many hours behind the wheel driving across the country and he never met a stranger. He had miles memorized and always could give you great advice on how to drive anywhere, including the highway number, where to exit and where the best cafes were! Marvin enjoyed retirement! He loved going fishing and hunting and traveling with his family. The more he did, the more stories he had to tell. His hobbies included bowling, gardening, bird watching, playing pool, puzzle books, playing cards, drinking a cup of coffee and just driving around the section. They wintered in Arizona for seven years and it was the best seven years of winter Marvin ever had and he never let us forget it! 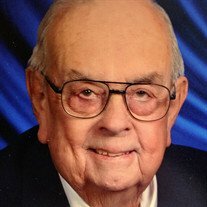 Marvin was a member of Elk Creek Lutheran Church and also served on the council, served on the Lutheran Retirement Home board, was a Veteran’s Commissioner and was active in the Kensett Lion’s Club. Marvin is survived by his wife Marilyn; son Gary (Lori) of Mackinaw, Illinois; daughters Teresa (Dean) Phinney of North Liberty, Iowa and Patty Reed of Hampton, Iowa; five grandchildren, Melissa (Scott) Keating, John Reed, Anthony Phinney, Matthew and Pamela Dolloff; and a great – granddaughter Emma Keating. He was preceded in death by his son Michael and great – grandson Jack Keating, his parents, his sister Mary Jane, niece Phyllis, sister – in law Lenora, brothers – in law Jim, Dwayne, Phil, Bill and Wes and his aunts and uncles.